OpenLogix Professional Services resources in the BPM practice are certified in configuring, installing, implementing and integrating the various BPM vendor products across various industries. BPM Services paired with our APIs and Business Integration Practice, we build innovative BPM/business integration solutions to solve your dynamic business issues, and help you architect a strong foundation for your processes. Certified professionals in our BPM Practice will help you realize the full potential of your BPM products and help you increase your ROI by uncovering the BPM value from your process lifecycle. Quality BPM skills at very competitive rates. 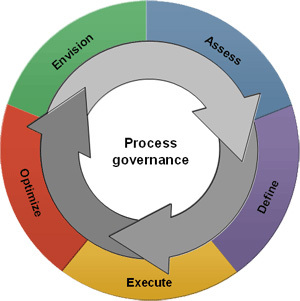 Business Process Management with the IBM BPM suite of products. Business modeling and analysis with WebSphere Business Modeler. Development of software code with WebSphere Integration Developer. Deployment of a business process with WebSphere Process Server. Monitoring of process performance with WebSphere Business Monitor. Within our BPM practice, Pega is our second largest in terms of skills and resources. We have been providing pega services to our customers in various industries like automotive, insurance, banking, discrete manufacturing, utilities among others. We have a strong team of Pega experts with expertise in Pega PRPC, CPM, Smart BPM. Experts experienced in migrating BPM solutions to Pega.